Just check this stunning mixed media Red Poppy created by Sanda last Friday and today we're having another beautiful floral inspiration, this time coming from Tanyalee. 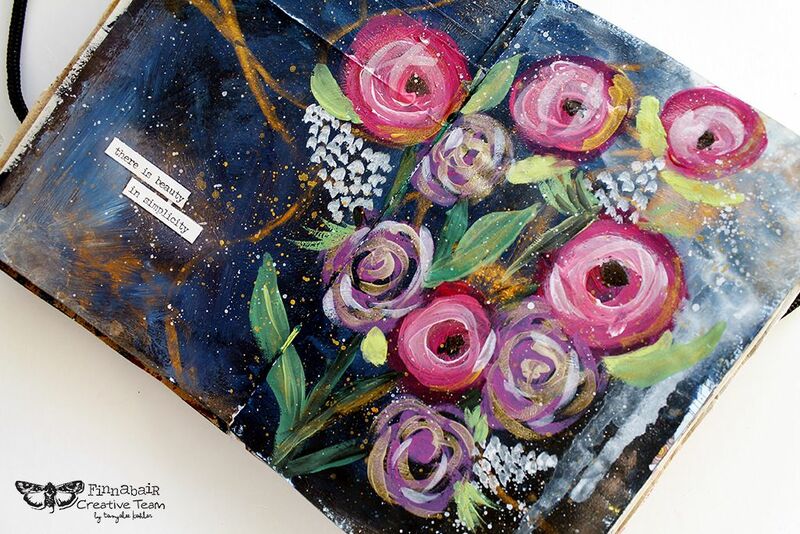 You can easily follow Tanyalee's tutorial and join us in creating an artful bouquet of your own! Welcome back for another process video for an art journal spread I made using Finnabair’s Impasto, Opal Magic and new Metallique Paints. I have created an abstract florals spread and have titled it ‘Simplicity’. 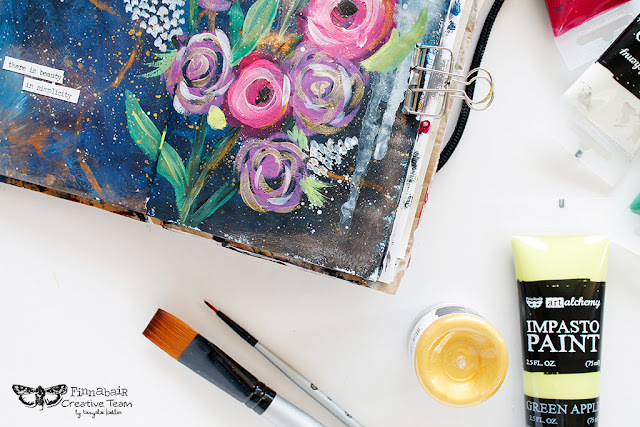 I’ve used a junk journal that bound myself with lots of different papers, including envelopes and magazine pages. To start the spread I lay down a dark background by mixing Impasto paints in Cobalt, Aubergine and Pitch Black, and then used some Snow White to tone things down a little. Once the background was dry I added some paint drips and Gold Mica Powder for highlights and to mute things a little. 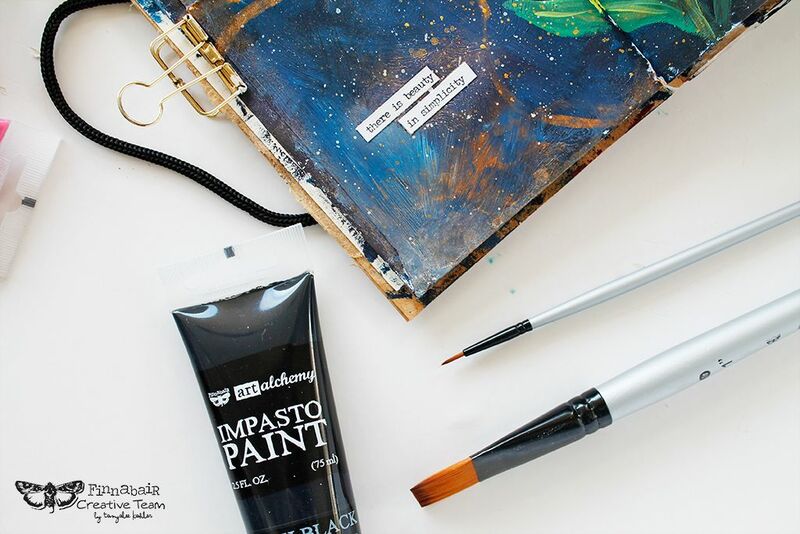 Mica Powder creates a lovely watercolour/ink effect when you mix it with some water on your palette. Then I got stuck into painting abstract flowers concentrating on colour combinations and composition of the blooms. To finish off the spread, I used water-down paints to create splatters and then added some word stickers to display my feelings. And now it's time for my video so you can see step by step how I created this spread. Please enjoy! I hope you have enjoyed this tutorial, and that you too dive into your art journal spread and experiment with the beautiful Impasto paint range. Beautiful !! I couldn't figure out at first what you were doing with such a dark background but love how you transformed it with the inks and drips. Very creative !! YOU make it look so easy! 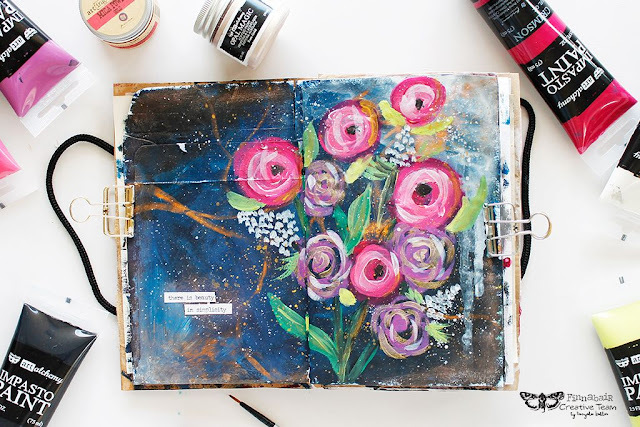 I will definitely try this in my art journal. Just GORGEOUS!